VERY CLEAN AND HARD TO FIND, PROVEN QUALITY, WELL MAINTAINED, 4 DOOR 4WD SUV, GREAT CONDITION INSIDE AND OUT, VERY SAFE AND DEPENDABLE. THE VEHICLE IS MECHANICALLY SOUND! ONLY 102K MILES , MANUAL, LOADED WITH ALL OPTIONS, CLEAN TITLE AND GUARANTEED EMISSION TEST, PRICED VERY COMPETITIVELY! WARRANTY FOR ADDITIONAL COST IS AVAILABLE !!! PLEASE DO NOT MISS THIS GREAT VEHICLE FOR ONLY $6495 PLUS APPLICABLE TAXES AND FEES!!! CALL 303-456-9999 TODAY!!! 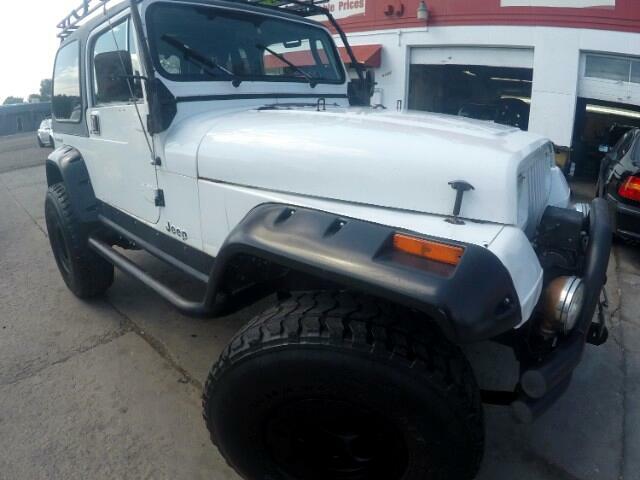 Message: Thought you might be interested in this 1994 Jeep Wrangler.